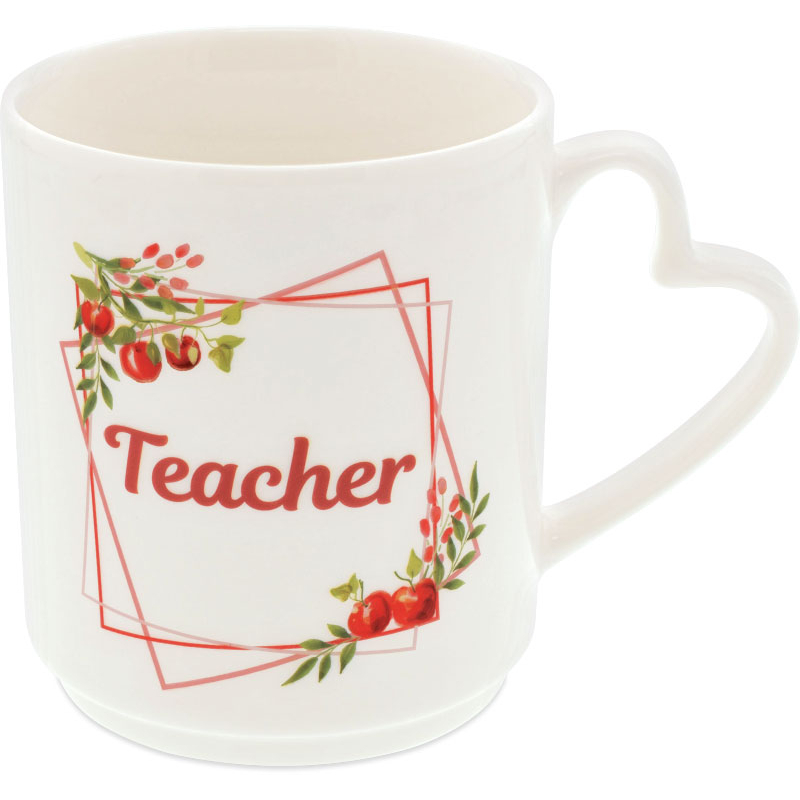 Unique heart handles perfectly accent these elegant porcelain mugs. Each piece features vibrant floral artwork and geometric details that powerful sentiment. 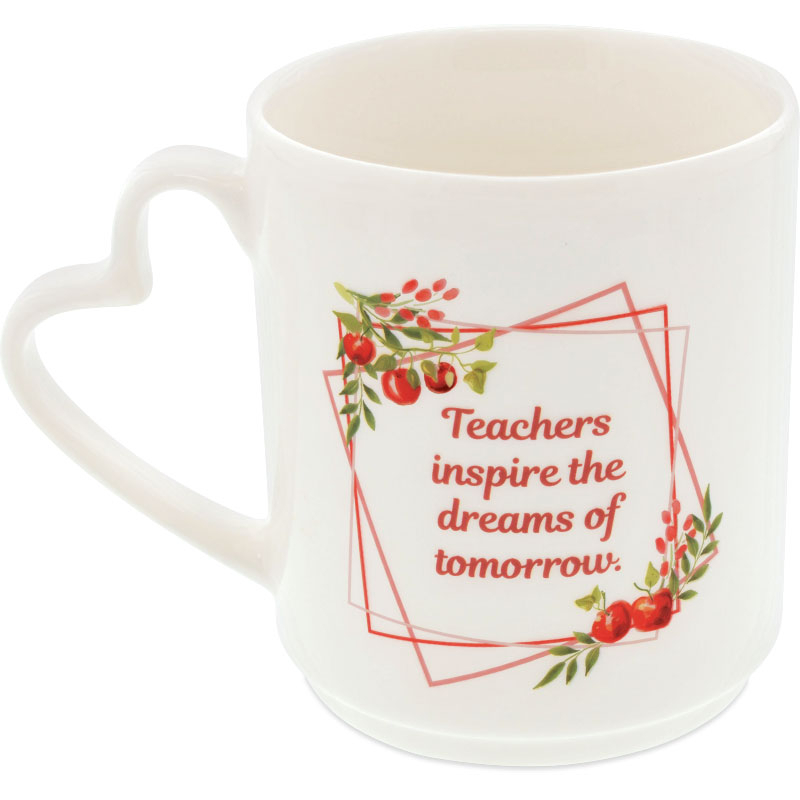 This mug reads "Teacher" on the front and "Teachers inspire the dreams of tomorrow." on the back. 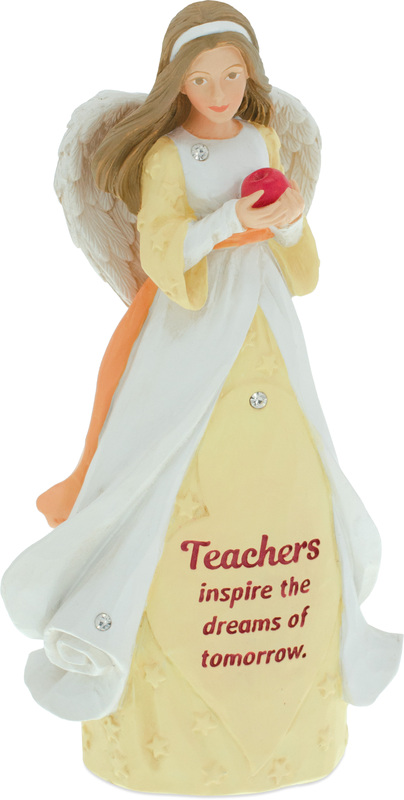 These mugs are perfect gifts and reminders of the special Angels in your life. 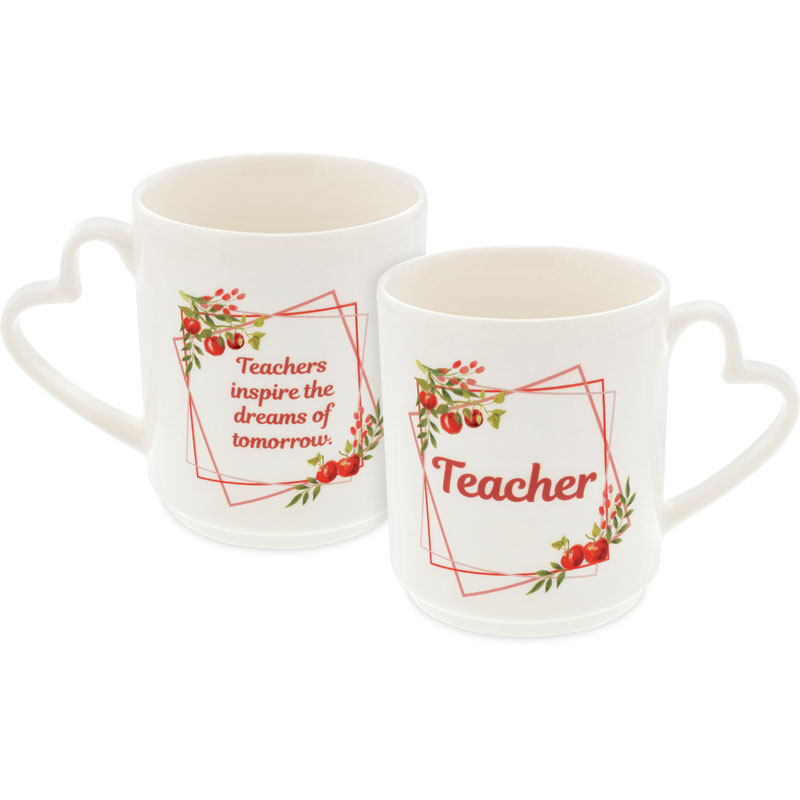 Each mug holds 11 ounces of the warm beverage of your choice. Mug is 3 3/4" tall.